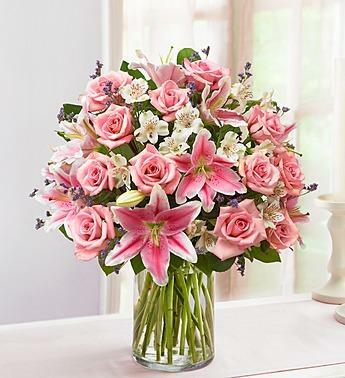 Pink flowers evoke happiness, love and admiration. That''s just how you feel. 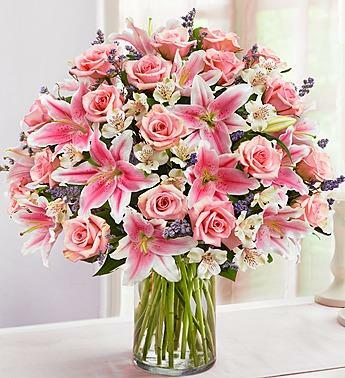 And they''ll understand it when this array of roses, lilies, alstroemeria and more arrives. 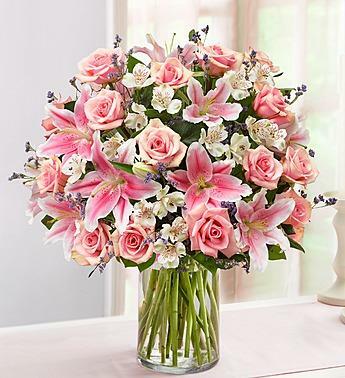 It comes hand-arranged in a clear glass cylinder vase, ready to deliver smiles and grace their décor with lasting beauty.